The 4th ANNUAL SHOP VASHON HOME FAIR! 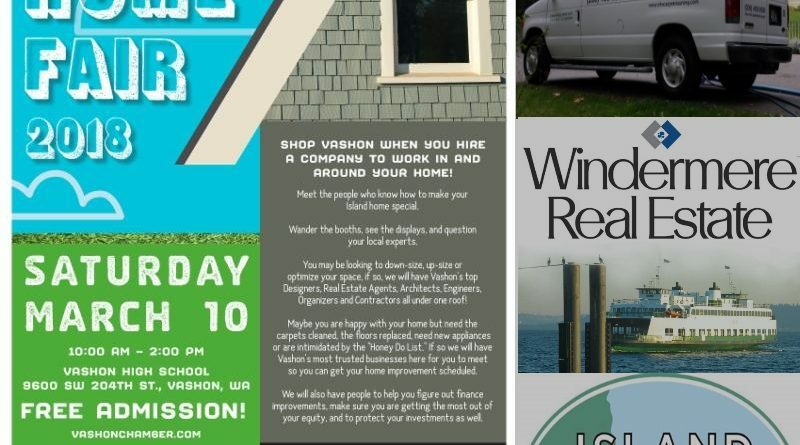 SHOP VASHON when you hire a company to work in and around your home! Meet the people who know how to make your Island home special. Wander the booths, see the displays, and question your local experts. It’s a FAIR so we will have music, food, and door prizes! 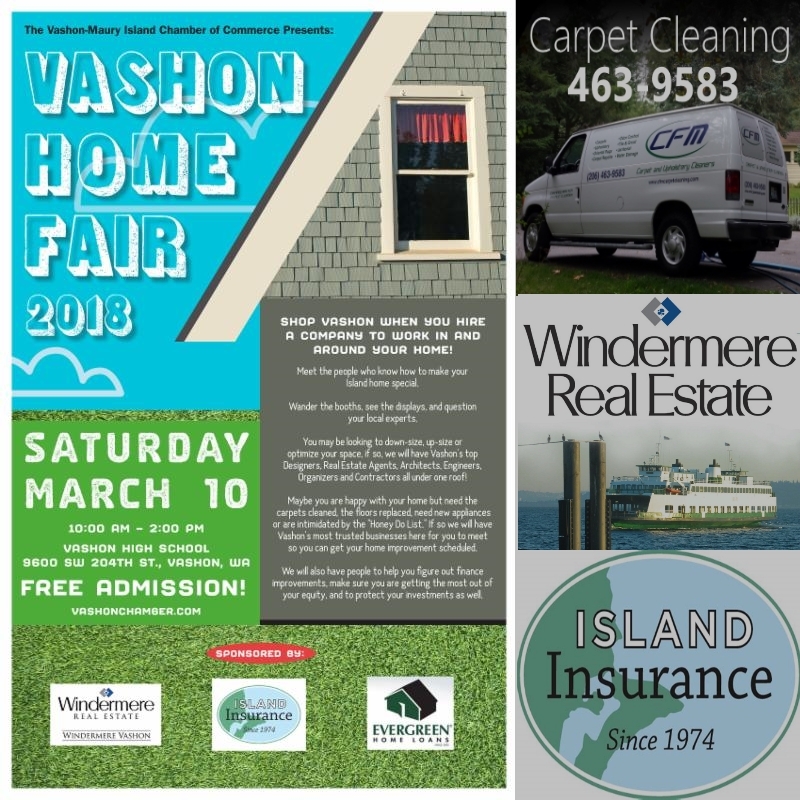 You may be looking to down-size, up-size or optimize your space if so, we will have Vashon’s top Designers like Waldren Designs, Real Estate Agents like http://windermerevashon.com/, Architects, Engineers, Organizers, Contractors and home services like CFM Carpet Cleaners all under one roof! Maybe you are happy with your home but need the carpets cleaned, the floors replaced, need new appliances or are intimidated by the “Honey Do List”. If so we will have Vashon’s most trusted businesses here for you to meet so you can get your home improvement scheduled. We will also have people to help you figure out finance improvements, make sure you are getting the most out of your equity, and to protect your investments as well.